A Literary Odyssey: The Warden Giveaway (A Victorian Celebration). Were you all aware that we have less than a week left in July? I feel as though time as flown by! 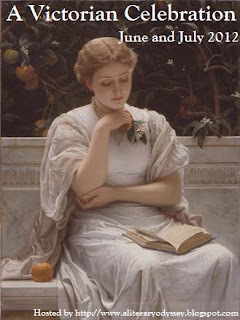 I have not been the best blogger the last week or two (more on that some other time), but I am still blown away by the number of you still taking on Victorian titles. I finally finished Nicholas Nickleby this week, which made me do a dance all over my apartment. And yes, my husband made fun of me. I also started Barchester Towers, but have only made it to page 30 or so. I am enjoying it a lot more than the last time I attempted to read it. I think its because I read The Warden back in June, so all of it is clicking into place. "The book centers on the character of Mr. Harding, a clergyman of great personal integrity, whose charitable income far exceeds the purpose for which it was intended. Young John Bold turns his reforming zeal to exposing what he considers to be an abuse of privilege, despite being in love with Mr. Harding's daughter Eleanor. The novel was highly topical as a case regarding the misapplication of church funds was the scandalous subject of contemporary debate. But Trollope uses this specific case to explore and illuminate the universal complexities of human motivation and social morality." 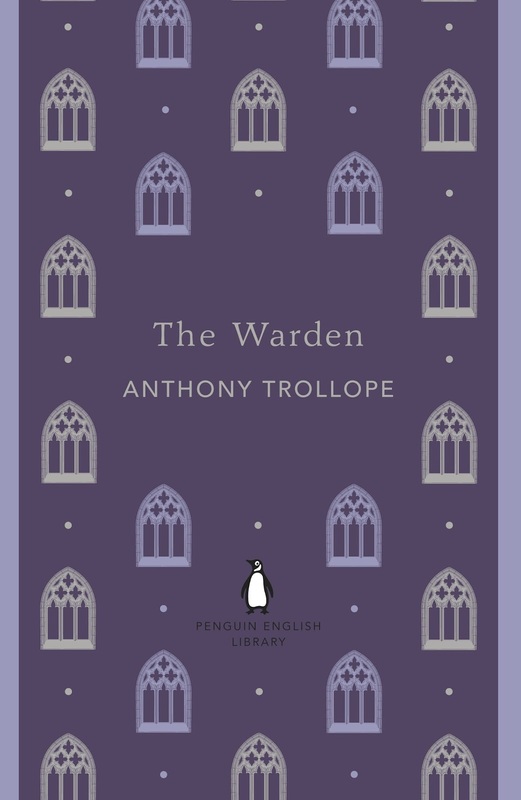 So, up for grabs this week is a new Penguin English Library Edition of Anthony Trollope's The Warden. I have the same edition (why yes, I ordered two when I ordered mine), and I am happy to tell you that the lovely folks at Penguin are publishing the entire Chronicles of Barsetshire in the collection. That way, if you are a crazy book collecting maniac like myself, you can have a matching set (Because who doesn't love a matching set of books??). To enter, comment on this post and answer the following question: What has been your favorite part of A Victorian Celebration? The giveaway will be open until 11:59 PM on Wednesday, August 1, 2012 EST. (Just to let you know, when I wrap up the event next week, there will be a few more winners announced. Be on the lookout for that). My favorite part of this challenge has been in meeting new readers/bloggers. 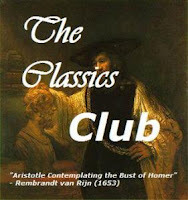 We have also been an encouragement to each other in reading the classics. Thank you for the hard work you've put into this give-away, all the give-aways, and the challenge itself. fave part of this challenge? 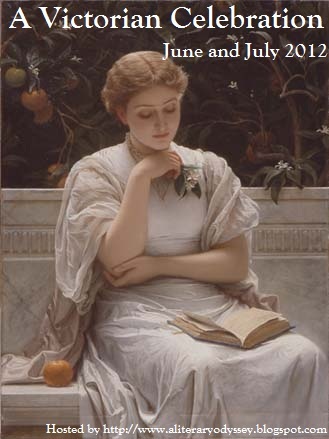 the motivation it's been to me to read more Victorians - to be aware and intentional in searching & choosing Victorian authors/material.. TY for that! the addition of the giveaway opps has been a bonus & always fun to try again ea wk .. Ty for that as well! My favorite part has been seeing other people's reviews and finding new classics I want to read! 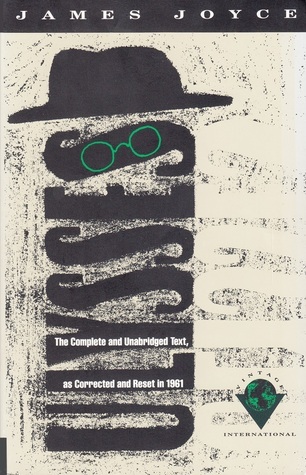 Penguin is doing all of Barsetshire in that edition? Ooooo....OK, it was really fun to see what everyone was doing! And I read Bleak House, yay me! And I won two books in different places (so you can leave me off the list for this one, since I've had my share). It was great motivation and now I've got some lovely new titles on my list. My other challenges have suffered though, I tell you what! Oooh, pretty! I own some of the Barsets but not this one, so please put my name in the drawing! (I may be tempted to collect the entire set!) I think my favorite part of the Victorian celebration was discovering all the new bloggers who love Victorians as much as me -- and adding lots more books to my TBR list! 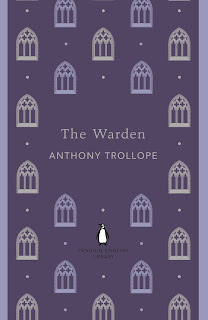 I'm going to try my best to finish The Warden this weekend so that I can post a last review for A Victorian Celebration! This would make 6 total for the event, which is the number I was hoping to hit. I've been reading it (sort of) for a few weeks, though, and I'm barley 70 pages in... it's just not connecting with me, so far. It's a short book, though, so hopefully I can push through it tomorrow - I'll have the house to myself for 7 hours. Fingers crossed.